What Should your Business Plan Do for You? What should your business plan do for you? Whether you’ve been in the business 30 years, or 3 minutes, you know you need a business plan. But, all plans are certainly not equal. The biggest pitfalls, I’ve learned, are in the lead generating parts of a plan. So, for you, I’ve identified the structural compo­nents in a lead generating plan that ensure that you get the best founda­tion, while protecting you from the pitfalls to which the majority of agents fall prey. Here are these components, and why they are so important to your success. Get you to top performance fast. 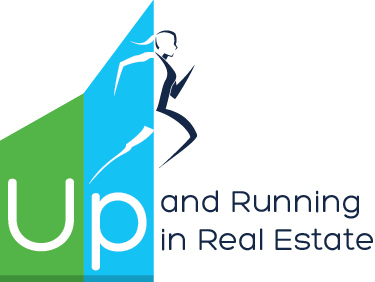 As a top producing agent, I learned how to put together and implement a start-up plan that worked. 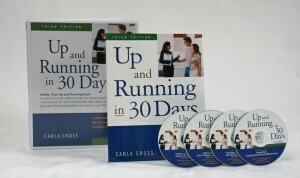 Then, I proved this plan works for others, as I used it to coach hun­dreds of new agents to success fast. Many of the new agents I hired and coached achieved top 10 percent status their first year in our company, which consisted of 400 agents, including those who had fifteen years’ or more experience. Question: If you’re struggling, is your business plan helping you fail? 2. Provide a top flight “performance plan.” More than experience and background has gone into crafting your start-up plan. I really learned how to craft a good performance plan as a musician and musical performance coach. (I started teaching piano at age 16, and taught private and group piano and ~ ute lessons in colleges for sev­eral years.) To learn to do something, you must have a structure that helps you perform correctly from the start. It must give you your next steps—in the right order. It must challenge you at the right times. It must teach you the principles so you can “go on auto” yourself. *Big Idea: This performance plan is the basis for your career success— forever. 3. Helps you consistently get better results. As a musician, I know that in order to get great performance fast, I need a way to measure what I’m doing and make adjustments. In music, we listen to our perfor­mances, usually with our coach, and evaluate to make adjustments. Then, we play it again with the bene~ ts of our evaluations. That’s how we get higher performance. As a real estate coach, that’s what I do with my clients: help them look at their performances and make adjustments for higher performance results. So, another big differ­ence in this resource is that I’ve built in the measurement tools you’ll need to analyze your progress and adjust your activities to get the results you want. I haven’t just given you activity plans. I’ve given you the means to measure your results. I’ve given you the analysis tools to make adjustments. I’ve given you all the tools you need to become a master at self-management. *Big Idea: Measuring what you do frequently propels you to higher results. 4. 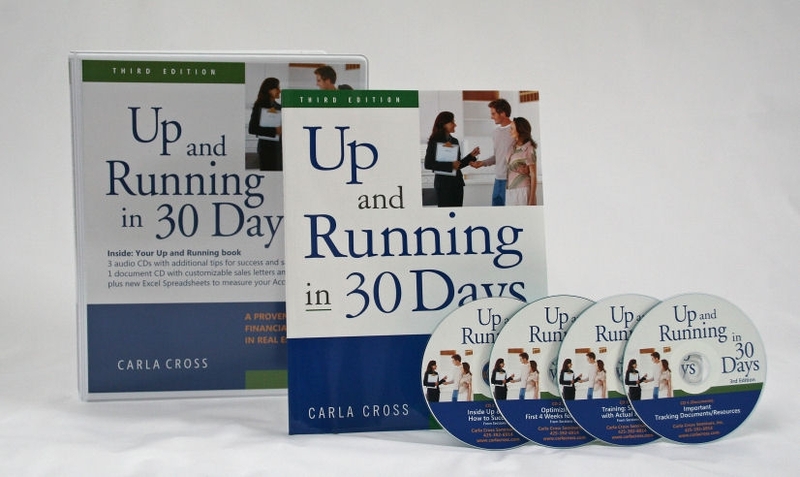 Get you a sale in 30 days. When do you expect to make your first sale (or a sale, if you’re slumping)? If you’re like the majority of new agents, you expect to make a sale in your first 30 days in the business. I discovered those expecta­tions when I did a survey of hundreds of agents who had under three months in the business. (The results of that survey are in Become Tomorrow’s Mega-Agent Today! ) How­ever, most new agents don’t achieve that goal. In fact, about half the new agents who start their careers in any year leave the business that same year! Not only do they not make a sale fast, they don’t make enough sales to stay in the business. So, if making a sale your first month is your expectation, you need a start-up plan that gets you into the sales game fast and has you talking with (and working with) many people Protect you from adopting the habits of failure. As a new agent, I honestly didn’t know why I was succeeding, but as I began observ­ing the activities of low-producing agents, I noticed they spent most of their time previewing properties to “know the inventory.” They also spent a signi~ cant amount of time in class learning interesting things. They also spent less time on the job (National Association of REALTORS® statistics show successful agents spend many more hours on the job). In contrast, my primary priority was finding and showing homes to buyers. I, too, viewed plenty of homes—but took genuine buyers with me to see them. I started contrasting the low-producing agents’ plans with mine (although low-producing agents say they have no plan; what they did last week was their plan). My plan was to find and show people homes. Sell as fast as you can! I finally fig­ured out that most new agents avoid the actions that require sales skills. They avoid rejection. They naturally do the activities that are easy: preview homes and sit in class! *Big Idea: Slow starters do activities that allow them to avoid rejection, but also have a low fi nancial payoff . If you want to start fast, you need a fast start-up plan. These principles are the foundation of Up and Running in 30 Days. 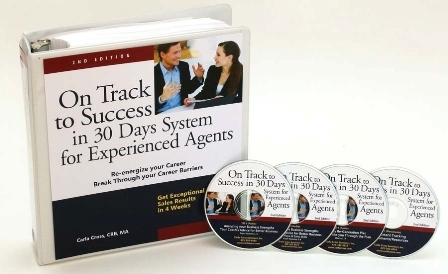 Or, if you’re an experienced agent looking for a shot in the arm (or a kick in the pants), take a look at the On Track to Success in 30 Days System for the Experienced Agent. Either program will get your priorities right and put you back on the track to your goals. Is Your Business Plan Missing Vision?